A HIPAA Risk Assessment can be a paralyzing experience. Medical practices have a daunting task of meeting HIPAA compliance to keep PHI (Patient Health Information) safe. An annual risk assessment is necessary and many medical practices are just now getting acquainted with the process. NetworkAntics’ and its partners intimate understanding of healthcare information technology perform complete and accurate HIPAA risk assessments to help you achieve and maintain HIPAA compliance. While our consultants can assist in completing the HIPAA risk assessment, the medical practice will not only have to be able to present approved HIPAA policies, written approved HIPAA procedures, and IT network documentation but also prove they are active and effective. Alternatively, this material and services can be purchased through Network Antics to meet baseline prerequisites. Mitigation is a separate matter but once complete, your baseline risk assessment will place your practice on the right path towards prioritizing the practice deficiencies and resolving them from one year to the next. Contact us today to arrange an initial HIPAA Risk Assessment interview. We proceed with a reasonably priced on-site risk assessment once you understand the game plan. 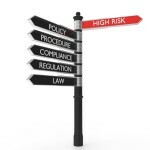 We can maintain compliance long after we complete a HIPAA Risk Assessment. 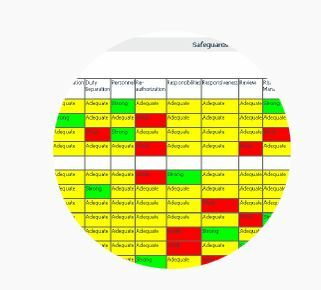 After the HIPAA risk assessment has been completed, there’s the on-going benefit knowing our SaasS software can immediately provide active management and monitoring of enterprise mandates. The multiple mandate improves corporate visibility into the performance of the hundreds of internal controls that have been defined and deployed for governing business processes. It allows companies to define, operate and assess those controls and determines in real time whether or not their mandate programs are working according to design. I am looking for a quote for a full risk assessment for one of my physicians’ practices.